The Troll says "No billy-goats allowed." Fantasy tropes give you a pretty good idea of what a particular well-known monster should more or less look like. I say elf, you think pointy ears. I say dragon, you think big, wings, fire, pillaging; or long, rivers, flying, wise. Big, muscly, dumb, with a huge underbite and fangs? 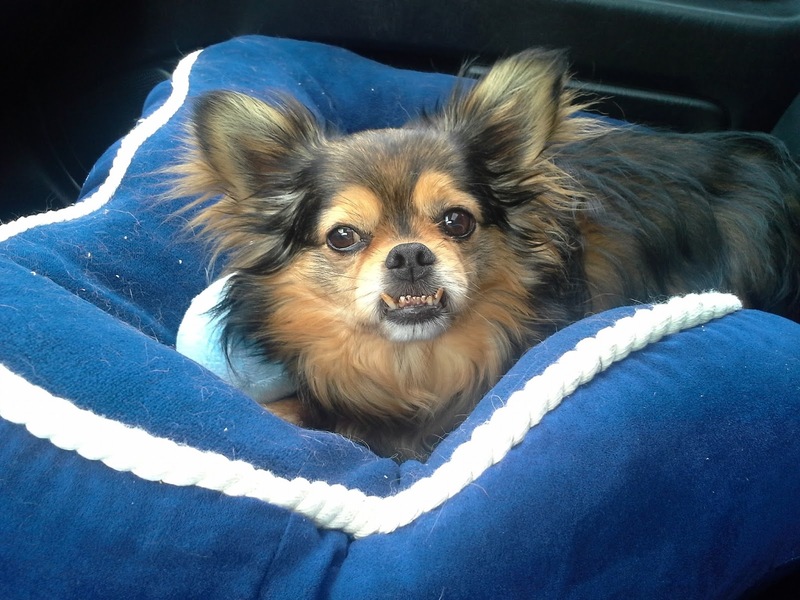 Or a cute little dog with troll-like fangs, with a sweet temperament and a tendency to get along with cats? I'm not usually a dog person, but really. I love this face. He's like Grumpy Dog or something. Plus, while he gets along well with cats and large dogs, around other small dogs he starts making troll-sounds. He'll be hiding under the table when the pest (er, "sweet cuddly other dog [who poops around the house and is insanely proud of having killed my evil purple fuzzy sock--what do you mean I'm not good at advertising?]") bounces by, and suddenly, from under the table will come a low growl. Then after the pest has passed by, out pops the troll! I can't get over that face. It's so cute. Ugly-cute but cute. Is he a pekingese? Or part pekingese? My grandparents had one growing up. I like them. :) They're loyal, cute, and won't take crap from anyone. Not the brightest things in the world, but that's okay.